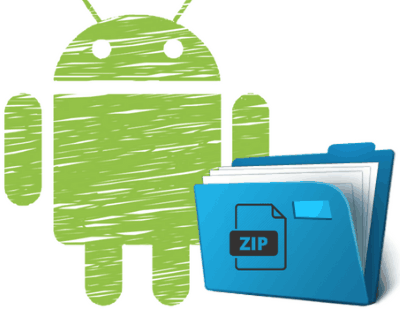 In this article, I have compiled a list of 5 free Android apps to ZIP files. These Android apps support multiple file formats to archive files and folders like ZIP, 7Z, GZip, TAR, ISO, and many others. You can select multiple files and folders to create a ZIP or any other supported archive format. Most of these apps can even let you create encrypted ZIP archive file format as per the AES-128 or AES-256 bit standard. I have also included a free Android file manager that comes with built-in ZIP and RAR support. Apart from that, some of the apps also let you specify the compression level and split the archive file into smaller chunks. RAR is a free Android app to zip files. There is no doubt that RAR is the best Android app to zip files amongst others included in this article. You can use it to compress files on Android to RAR, ZIP, and, RAR 4.x files. It can also extract RAR, ZIP, TAR, ISO, etc archives on your Android phone. This makes it an ultimate app for handling compressed file formats on Android. The best part is that you can also password-protect the ZIP and RAR files from extracting. We have already covered this app in detail earlier. You can read its detailed review from here. To ZIP files on Android using this app is pretty simple. Install this app from the link provided above and then open it. After that, on its interface, you will see the list of files on your phone and external SD card. Now, select files and folders and tap on the Add to archive button on top of its interface, as shown in the screenshot above. After that, you will see the archiving options from which you have to select the file format in which you want to compress or archive the files and folders and other advanced options. In the advanced options, you can select the compression rate i.e. Fastest compression, Normal compression, Best compression, etc. At last, tap on the OK button to create the ZIP file of selected files and folders. The ZIP archive will be created in the same folder where the original files are placed. It also gives you the option to delete the original files after archiving them. AndroZip FREE File Manager is another free Android app to ZIP files. From this app, you can compress multiple files and folders on Android to a ZIP file. Apart from that, you can also unzip/unrar/extract compressed files of ZIP, TAR, RAR, GZIP, and, BZIP2 formats. As compared to RAR, this app doesn’t give you the option to archive files/folders to RAR format and change the compression rate. You can also ZIP files in a standard encrypted format. The paid version of this app allows you to ZIP files in AES-128 and 256 bits format. The interface of this app is quite similar to a file manager app. So, you might find it quite easy to use. To ZIP files, you just have to long press on a file/folder and select the Create ZIP option. After that, the ZIP of the selected file or folder is created in the same directory of the original file/folder. You can also select multiple files and ZIP them together with this app. To ZIP multiple files and folders together, select the Multi option which appears right next to the Search button on the app interface and select Mulitple ZIP/ Mult. Encrypted ZIP option. After that, select the files and folders and tap on the Create button to ZIP the selected files and folders in the same archive. If you have selected the option to ZIP files in an encrypted format, then you will have to specify the password. The resulting archive is saved in the same directory where original files are placed. ZArchiver is another Android app to ZIP files. This app can compress files and folders on Android to ZIP, XZ, GZip, TAR, BZip2, and 7Z format. The best part is that you can specify the compression rate and create encrypted archives with AES-256 bit standard. If the file to be compressed is large, then you can choose to split the archive files into smaller chunks and you can specify the maximum size of smaller chunks as well. The app can also automatically delete original files after compression for you. You can also decompress following file formats with it: 7Z, ZIP, RAR5, ISO, GZip, WIM, ECM, XZ, DEB, and many other file formats. You can select files and folders to ZIP from the app interface itself. As compared to other apps on my list that offer the similar type of interface, the interface of this app is quite good as it lets you navigate through different files and folders with ease. Just long press on any file or folder and then select the Compress… option. After that, specify the archive name, format, compression level, password to unlock the archive, and size of the smaller chunks if you are splitting the archive file. Tap on the OK button to ZIP the selected file or folder. To ZIP multiple files and folders at once, you will first have to enable its batch selection mode. Tap on the three-dot menu button and select the Multi-select option. After that, select the files and folders to compress and then tap on the right-arrow button at the bottom-right part of its screen. Now, just long press on any of the selected files and select the Compress… option. ES File Explorer File Manger is a free Android file manager with the option to ZIP files. This free Android file manager comes with a built-in support for ZIP and RAR formats. You can select multiple files and archive them in ZIP or 7Z format. It also lets you create encrypted ZIP archives (AES-256 bit standard). Download this app from the link provided above and then open it. After that, select the files to ZIP and then tap on the three dots menu button and select the Compress button. Now, specify the archive file format, compression level, and, Password to encrypt. At last, tap on the OK button to create the archive file in the current directory i.e. where the original files are placed. WinZip is another Android app to ZIP files. From WinZip, you can create ZIP and ZIPX files and unzip CBZ, 7Z, RAR, ZIP, and, ZIPX files. The best part is that it lets you view ZIP files directly in its interface that contains images, text, and, web files. You can also open the encrypted 7Z and ZIP files right within its interface. After you have installed this app, open it and select the files and folders to ZIP. After that, tap on the ZIP button on the top and then specify the name of the archive file. At last, tap on the OK button to ZIP selected files and folders. The compressed ZIP file will be saved in the same folder where the original files are placed. As compared to other apps, you can’t create an archive in other file formats like 7Z, GZip, etc and set the compression level. The option to ZIP files in an encrypted ZIP format is not available in its free version. In this article, I introduced you to 5 free Android apps to ZIP files. These apps will let you archive multiple files and folders to ZIP and other supported archive formats. I recommend you to go with RAR and Zarchiver, as they support more number of file formats. ES File Explorer File Manager is also quite good as it comes with built-in ZIP and RAR support.